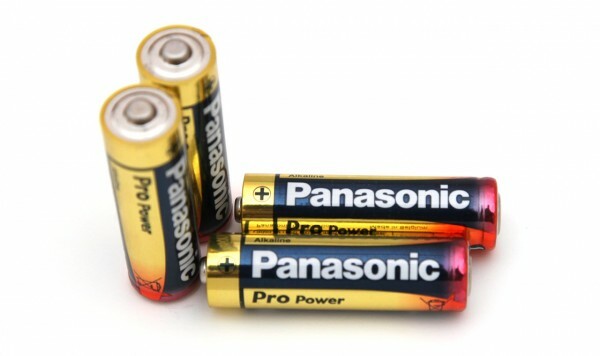 The 1.5V AA Panasonic Pro Power Alkaline batteries are from the mid to high-range of primary batteries from Panasonic situated at one level below the top Evolta range of Alkaline batteries. Panasonic claims that it has improved capacity of the new Pro Power batteries so that they can offer up to 80% extra performance compared to their last years Alkaline range of batteries (the maximum difference measured between Panasonic Pro Power production 2012 and Panasonic Standard Power production 2011 by Panasonic). The 1.5V AA Panasonic Pro Power Alkaline batteries we got for testing are with an expiration date of 02-2020, so quite a long shelf life for these batteries. Panasonic says that these are ideal for high and medium drain appliances, so let us see how they perform in our tests. Starting our tests of the 1.5V AA Panasonic Pro Power Alkaline batteries as usual with a constant current discharge rate of 0.1A we’ve managed to get 2517 mAh capacity and that is actually a very good result fr an Alkaline battery, though not the highest we’ve got so far (we should also check the Panasonic Evolta batteries). Increasing the constant current discharge rate to 0.2A and the batteries still manage to handle very well, and even going further we are still getting very good performance. So the 1.5V AA Panasonic Pro Power Alkaline batteries are probably among the top Alkaline batteries you can currently get, and they are certainly giving better results than the standard Duracell Copper Top batteries.